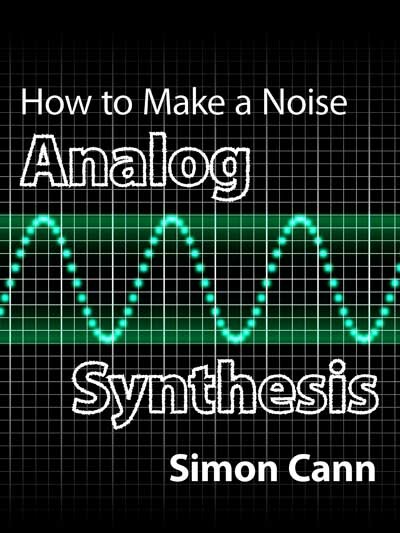 How to Make a Noise: Analog Synthesis looks at creating sounds using analog synthesis techniques. Analog synthesis works by taking a sound source and shaping it with a filter. This is a simple but powerful technique which allows you to create the warm, rich, energetic, and commanding sounds, and with some care you will find tones with detail, complexity, and delicacy. You will have heard these techniques are employed by many of the classic synthesizers (the Moogs—Mini Moog, Moog Modular, Taurus, Little Phatty, the Oberheim synths—OB-8 and OB-X, the Rolands—SH-1000, Juno-6, Jupiter-4, and Jupiter-8, Prophet-5 from Sequential Circuits, and the ARPs—ARP 2500 and Arp 2600), and many other synthesizers—both hardware and software. Even if you don’t recognize the synthesizer, you will immediately recognize the sounds they produce, and after reading the book you will be able to create and control these classic sounds when you apply the techniques to hardware or software synthesizers.